You have my personal guarantee that the Solar Stik System represents excellence in design and quality craftsmanship. Our Team believes in Our Mission and stands by the STIK Commitment, providing the very best service and expertise to meet your portable power needs. A single-page diagram is the only instruction needed to set up a Solar Stik System. Polarized Plug & Play connections protect both user and equipment during setup and operation. Critical systems and life-saving equipment require continuous, uninterrupted power. We apply the “No Failure Rule” in the design of every product we build. Dialing our Tech Support phone number, anytime day or night, will connect you with one of our Solar Stik system support specialists—not a voice mail or messaging service. Increasing a system’s flexibility, functionality, and usefulness by opening the architecture to allow integration of add-on products extends a system’s life cycle by meeting changing user requirements. We believe in the quality and supply chain security that’s realized by using domestically produced components in Solar Stik products. We finish each other’s sentences. Passion for what we do comes to work every morning wearing Solar Stik tee shirts and hats, and “that’s not my job,” isn’t part of anyone’s vocabulary. Details matter to us. 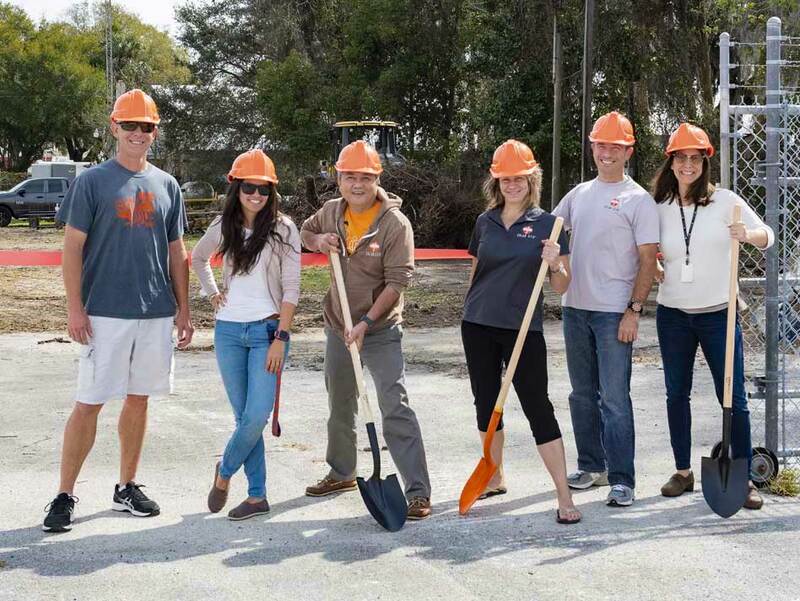 The culture at Solar Stik is the energy and enthusiasm we share. Our culture is our Team. Each day Our Team writes the next page of Our Story. 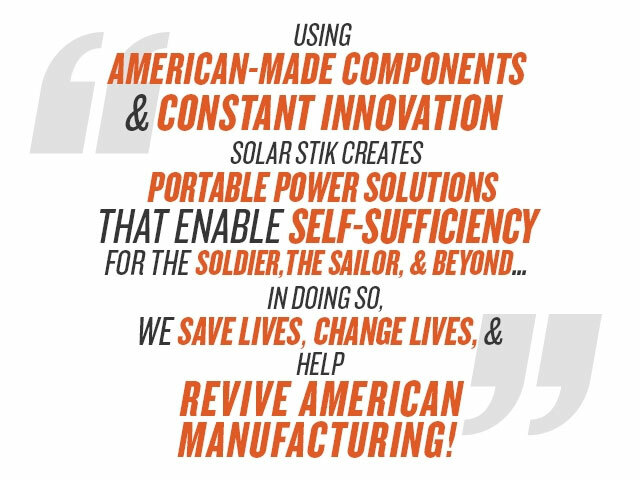 Our Team is why we have a story to tell—from the very beginning when the first Solar Stiks set sail to today as we build systems for the front lines in combat zones. When we talk about Solar Stik’s history, we start from what’s happening now and work our way back.